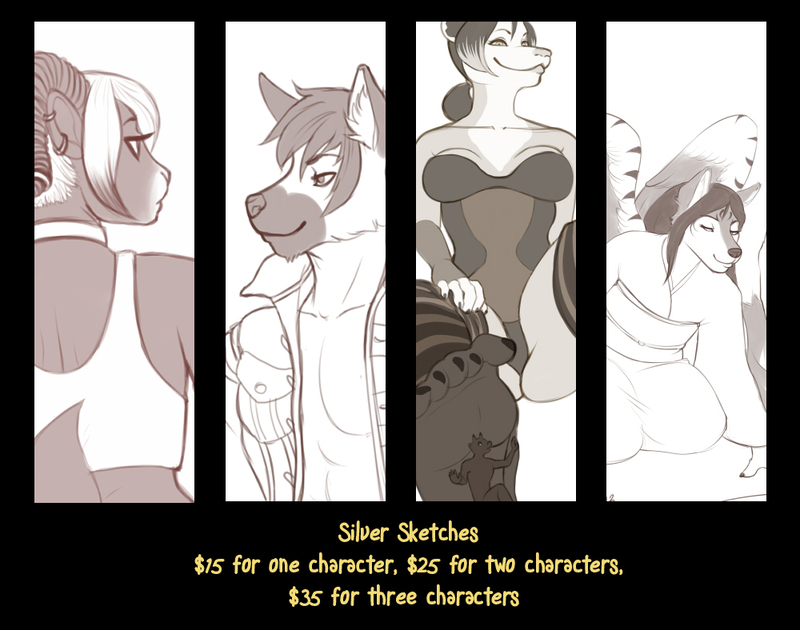 Silver sketches are $15 for one character, $25 for two, $35 for three. Backgrounds can be negotiated. Turnaround time is roughly six to eight weeks from payment. The most important thing to remember is that these do not come with approval stages - I'll accept your commission request and complete it from start to finish, then show it to you. No changes to the final product will be made unless I missed something from your ref or description.